When enjoying our Alive & Well olive varieties, we suggest taking the olives out of the fridge and letting them come to room temperature before serving. The olives are most flavorful at room temperature. Find the closest stores to get our olives. 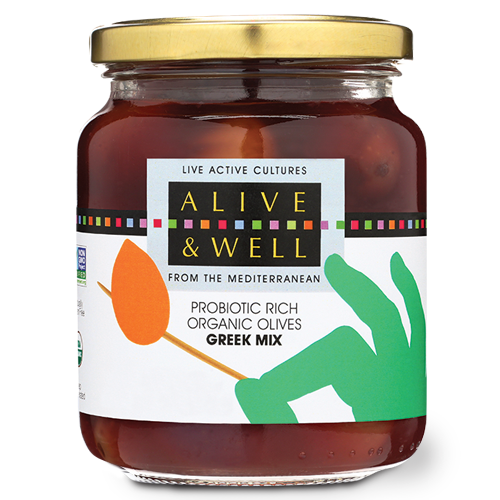 Alive & Well From the Mediterranean is excited to showcase their artisanal probiotic-rich organic olives at the Winter Fancy Food Show in San Francisco this January (booth #5541). 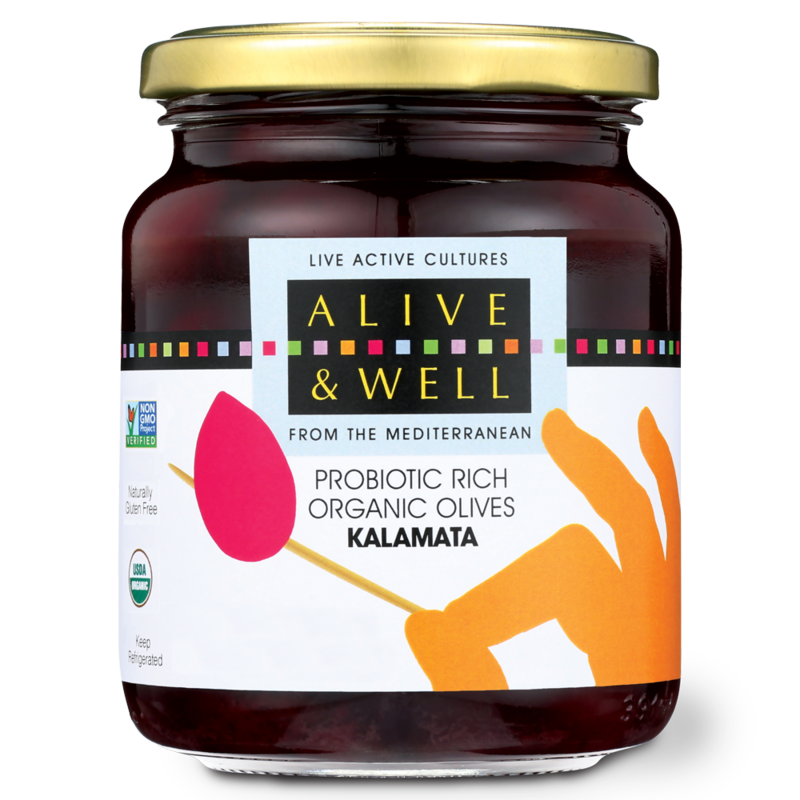 At the show, you’re invited to taste the next big culinary trends, including the five heirloom varieties of Probiotic-Rich Organic Olives cultivated exclusively for Alive & Well by small family farms and village co-ops in Greece. Enjoy a rich depth of flavor and crisp texture that give way to a subtle bite of natural brine, with the smooth, buttery finish of a complex terroir that, much like a fine wine, tells the story of Alive & Well olives’ proud heritage. Organic Olives From Greece With Naturally-Occurring Live, Active Cultures for PerishableNews.com, January 5, 2018. Alive and Well Olives Greek Mix Kalamata, Atalanti, Chalkidiki and Green Rovie Olives by Phil Lempert for SupermarketGuru.com, January 3, 2018. Organic Olives from Greece with Naturally-Occurring Live, Active Cultures by Krista Bartzi for Medium, December 15, 2017. 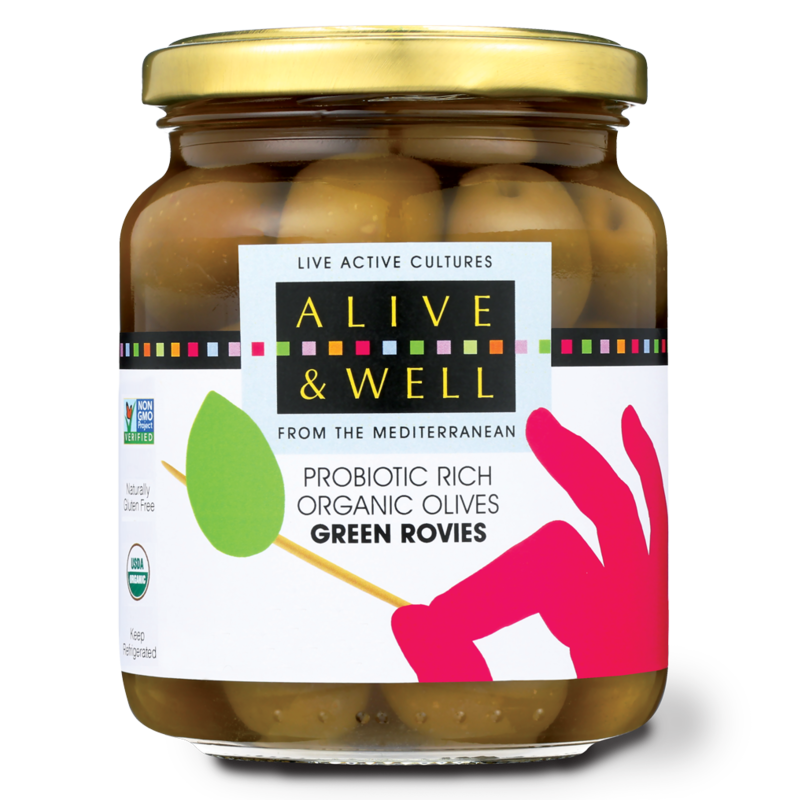 Alive & Well Olives preserve authentic taste, probiotic benefits with traditional processing techniques by Elizabeth Crawford for Food Navigator- USA.com, December 5, 2017. The ‘Great Eight’ Hottest Healthy Food and Beverage Trends for 2018 by Mareya Ibrahim for eatCleaner.com, December 4, 2017. Probiotic-Rich Organic Olives by Marina Mayer for Refrigerated & Frozen Foods, November 28, 2017. Organic Olives from Greece with Naturally-Occurring Live, Active Cultures for MOGUL, November 20, 2017.